This post is sponsored by Office Depot and Her Campus Media. All opinions are my own. Thank you for supporting the brands that make Sand Sun & Messy Buns possible. I get a LOT of questions on my YouTube channel about what life is like at an art school. The answer is that it's very fun…and also very challenging. Since I'm headed into my junior year, I want to talk about the one thing that's helped me the most so far in college: Time Management! 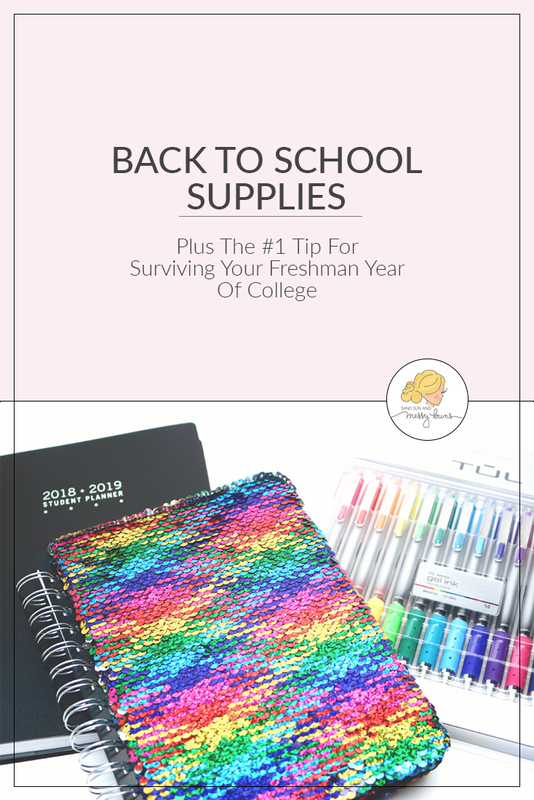 If you find my college tips tutorial helpful, please share this image on Pinterest! When I went off to college, I was a little overwhelmed (to put it mildly). I hadn't realized how much my mom helped keep me on track when I lived at home. 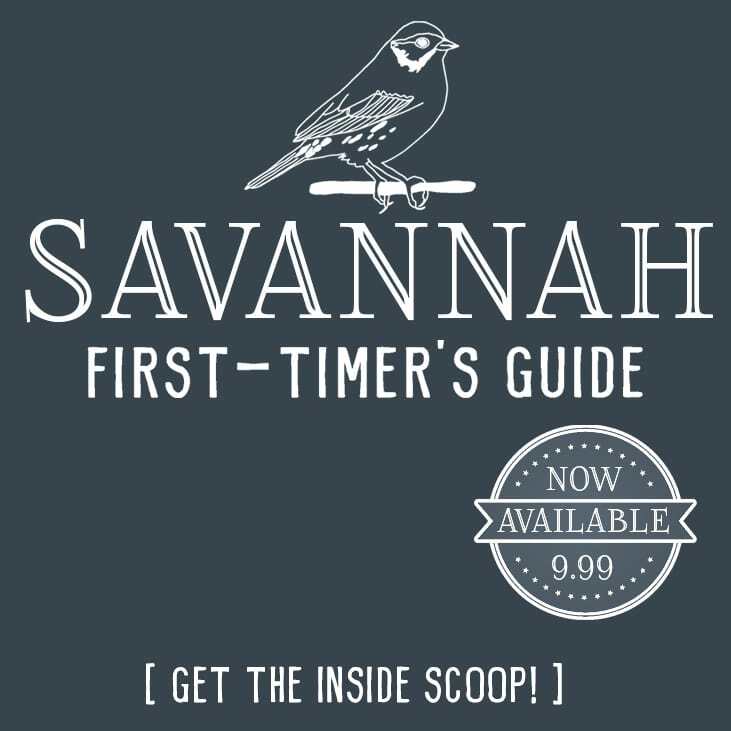 It was a rude awakening when I had to fully manage my own schedule for the first time at SCAD! Staying organized by listing every detail of my day in a planner is the one thing that helped me stay on track the most during my first two years of college. I can't recommend it enough. I like using a planner that gives me both a monthly view, so I can see all of my major deadlines at a glance, and a daily view, where I can write detailed notes about each item I need to accomplish on that specific day. One of the things I like best about the TUL planner is that it has a dedicated page for my class schedule, so I can see it at a glance. I also love that I can list lots of tasks on the daily “to-do” pages, and each line has a check box, so I can feel good about marking it off once I'm done. 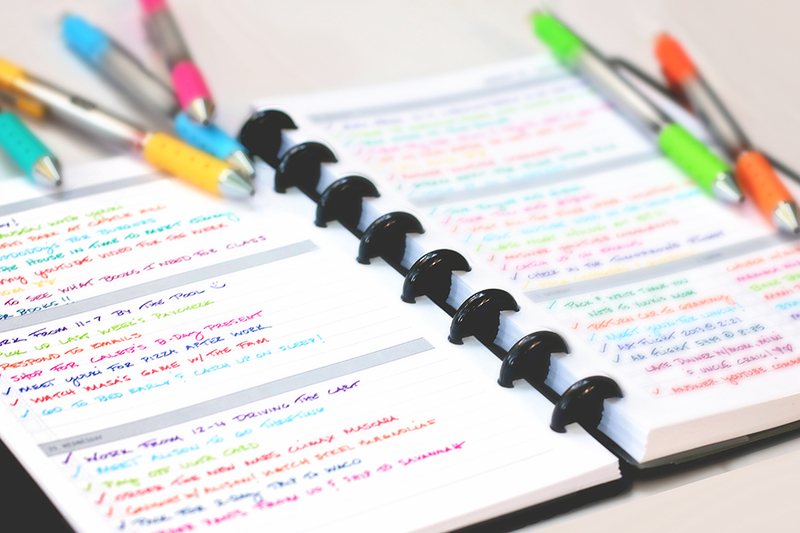 Everyone knows a planner isn't pretty until you add colorful notes to it, right? The pretty pens are always my favorite part! These gel pens, though! I think I'm in love. Seriously…go buy these — especially if you're in art school. You won't regret it! They're really vibrant, they don't bubble at all, and they're smear resistant. Since I'm in art school, the one other item I like to always keep in my backpack is a blank notepad to keep track of inspiring ideas. I literally never know when inspiration will hit, so it's handy to have a dedicated place to doodle whenever I see something I love. 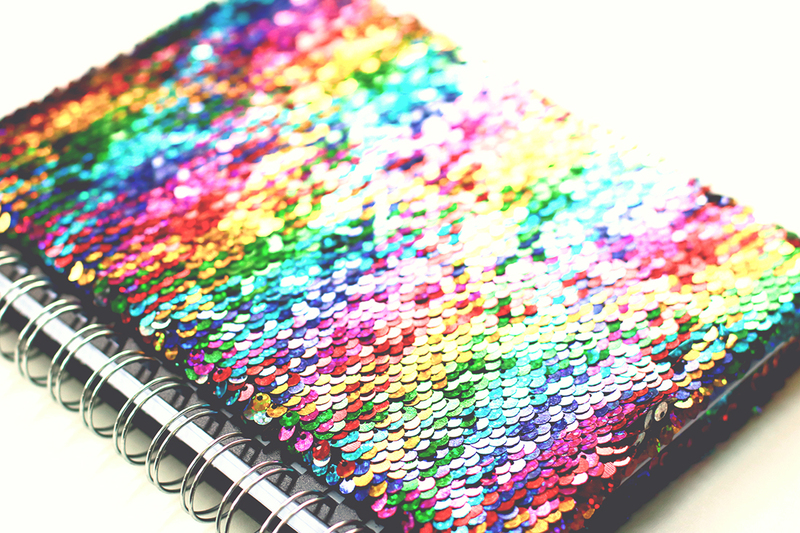 I picked up this notebook as my inspiration journal this year because the colors make me so happy. Also… I love playing with the sequins. Seriously, I'm going to post on Instagram stories so you guys can see how addicting it is to run your fingers over the sequins! Also, if you're headed off to college for the first time this year and need help finding your dorm room style, here's a helpful quiz. I'm sure it comes as no surprise that my style was “Casual Coastal”, since my dream vacation would be Hawaii and I love spending all of my free time at the coast. Make sure to subscribe on YouTube if you haven't already, so you'll receive a notification each time I upload a new college advice video. I appreciate the support! Hi! I'm Daisy, and I'm in my sophomore year of college where I'm studying fashion marketing and design. I'm addicted to playing with makeup and trying new hairstyles. I've styled my friends hair and makeup for homecoming and prom for years, so now I'm posting online tutorials since people always ask "How did you do that?!" Read more about me here! Follow me on YouTube. Planners are essential! 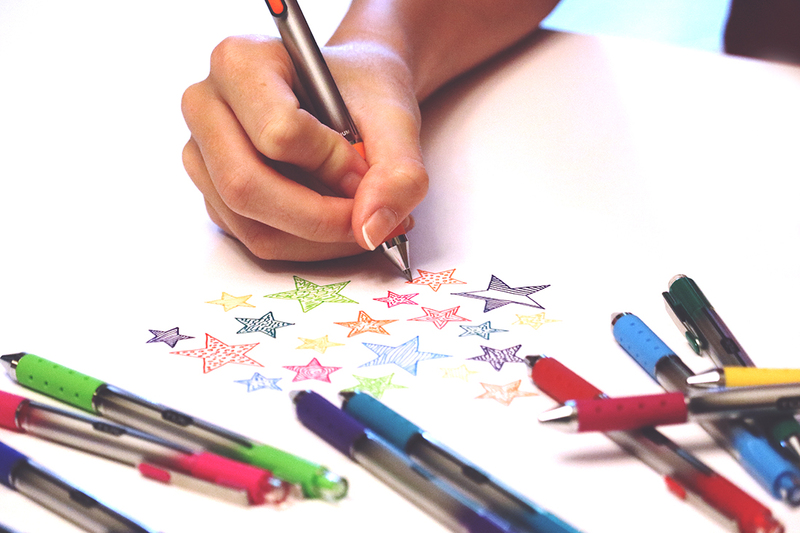 I love those colorful pens! Great post! I’m so with you on this, nothing beats the right equipment and stationary! I love all the pretty colours you have here. Good luck with your studies! Sand Sun & Messy Buns is a participant in the Amazon Services LLC Associates Program, an affiliate advertising program designed to provide a means to earn fees by linking to Amazon.com and affiliated sites.